A young North Somerset ceramic artist will be helping schoolchildren’s ideas take root. Hazel Jackson, 25, a Weston College third year degree student, will work with lecturer Simon Taylor to create a ceramic ‘tree of life’ for the spiritual garden. It will take pride of place at Worlebury St Paul’s CofE Primary School. The ‘tree’, measuring 6ft x 5ft, will consist of seven ceramic friezes each based on Bible-inspired pictures drawn by pupils at the school. 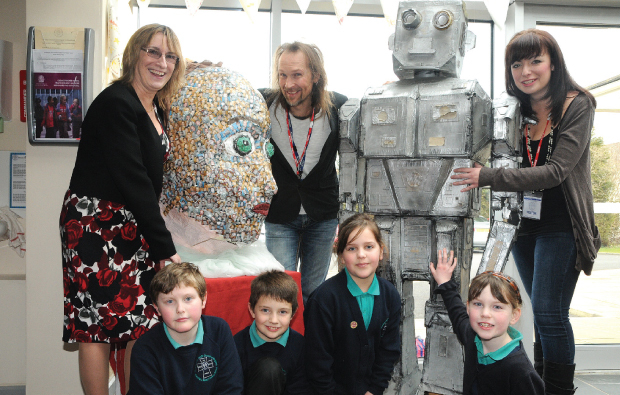 The children’s designs will be voted on by parents, governors and church members. Head teacher Gillian Quick said the project would commemorate the school’s expansion this year.